The leaves are changing, and so are your wardrobe options. You find yourself reaching for you denim cutoffs less and less and pulling on the oversized sweaters more as the temperature drops and the seasons shift. But after so many months of warm weather, how does one even dress for fall!?!? 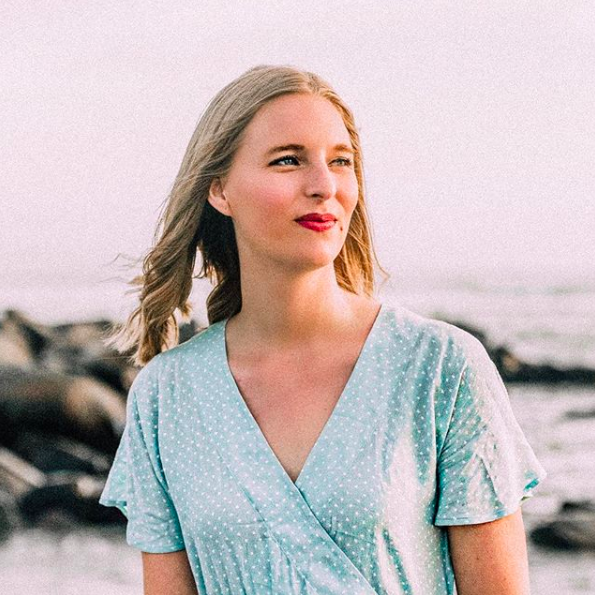 The change of seasons can be alarming and overwhelming when it means that the uniform you perfected for the summer months (for me, a lacy dress and a thin scarf, topped off with sandals or sneakers) is no longer of any use. Yes, fall outfits can be overwhelming, but luckily we live in a time when we can easily draw inspiration from the style greats. That's right, I'm talking about the street style stars of fashion week/month and beyond. So look no further for some great new ways to wear your favorite looks this fall. These girls provide the inspiration, and I'm showing you how to get the looks for yourself! Easy as 1, 2, 3, am I right? No print screams "FALL!" louder than plaid does, so why not wear an outfit made of solely plaid prints to celebrate all things checked and crosshatched? The key is to make sure you have a large array of colors and widths. If you have a small plaid print button-down, throw on a buffalo plaid skirt. Variety is key. One of my favorite looks for fall? My oversized knit sweater and the miniest of skirts. It's a great way to look cute without showing too much skin (for modesty and warmth reasons, tbh). On-trend thigh-high boots add a whole new level to this proportion-mixing outfit. Plus, if it's really freezing out there, just throw on some tights (patterned or solid, it's up to you!) and the effect is still the same. Chic no matter the weather! No joke, I love a good Canadian tuxedo. It's a great way to look equal parts casual and polished. Denim is everywhere right now, and in new forms (eg. denim skirts and coats) so there are plenty of ways to get creative with your denim-on-denim pairings. A chambray button-down + distressed denim pencil skirt = fashion gold. 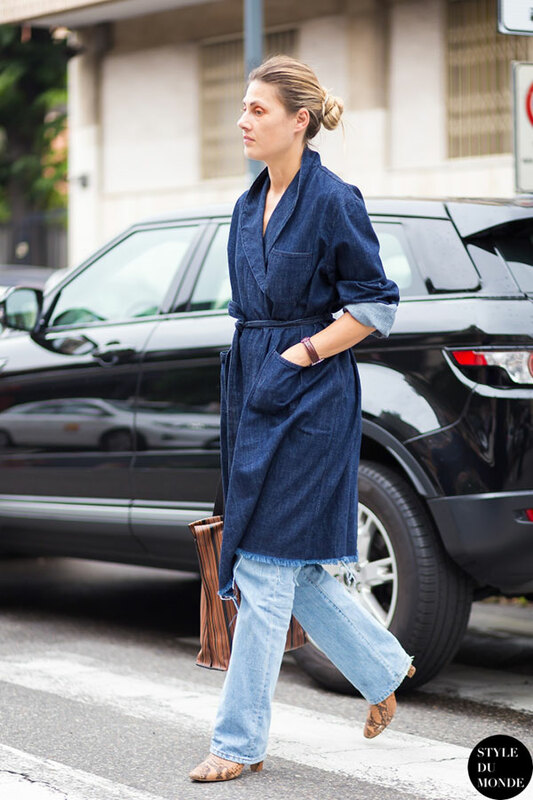 Denim robe coat + raw-hem jeans = pure JEANius! Oh lord, I crack myself up sometimes. But yeah, Canadian tuxedos are fabulous and you should be wearing them this fall. What are your fall fashion tips?